Generally, the primary difference between a college and a university is that a college is one institution offering undergraduate degrees, whereas a university is a collection of colleges where there are both graduate and undergraduate degrees offered. However, within that definition there is a lot of latitude as to what makes each experience unique. 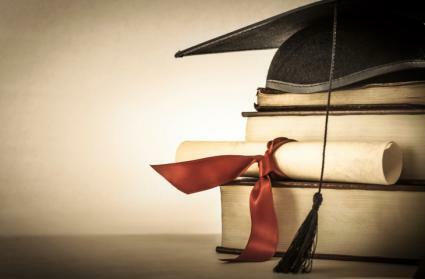 While typically a university grants graduate and post-graduate degrees and a college does not, there are other differences between colleges and universities. There are four-year and two-year independent colleges, which offer undergraduate degrees. Four-year colleges offer bachelors' degrees and two-year colleges, such as the Borough of Manhattan Community College New York City, typically offer associates degrees and certificates for both academic programs and some focus on vocational and technical training programs. Two-year colleges can also be a path to upper-division courses in four-year colleges or undergraduate university programs. Students who attend two- and four-year colleges are likely to be taught by regular faculty members, rather than by graduate students. Undergraduate class sizes tend to be smaller at colleges than at major universities. Colleges can also be academic divisions embedded within a major university. In some cases, these "colleges" are referred to as "schools." For instance, The University of Iowa has colleges of Liberal Arts, Business, Education, Engineering, Nursing, Medicine, as well as others. Similarly, Stanford University has equivalent divisions known as "schools." Stanford offers undergraduate courses through many schools, such as Business, Earth, Energy, & Environmental Sciences, Education, Humanities & Sciences, Medicine. Universities not only offer undergraduate (bachelors) degrees, but they typically also offer masters and Ph.D. graduate degrees. In universities, faculty members are often involved in research and are encouraged to publish as part of their regular university assignments, leaving them less time for undergraduate teaching. Teaching assistants, who are graduate students, often teach courses or supervise discussion sessions associated with large lecture sessions. In many universities, undergraduate core courses, as well as many freshman and sophomore level courses, are taught by a graduate teaching assistant. Undergraduate classes at a university may not provide the intimate classroom experiences available at many four-year colleges, but students may benefit from their professors' research and recognition in the academic community. How Are Colleges and Universities Similar? Although there can be differences in size and quality among colleges and universities, both types of institutions offer undergraduate or bachelors' degree programs. In addition, both colleges and universities can be publicly or privately owned and operated. Academically speaking, it's possible to get a good education at both a college and a university, which you attend simply depends on your needs. Foreign students planning to obtain degrees in the United States can find the nomenclature used to describe college and universities confusing, especially because the words "college" and "university" may be used differently in their home countries. For example, in Great Britain and other countries formerly part of the British "Commonwealth" the word "college" can refer to two years of preparation for university attendance rather than to a four-year college. Other minor differences, depending on the country of origin, can make the choice of a U.S. institution of higher education even more difficult for students outside the United States. In the United States, people casually refer to attendance at any post-secondary school as "going to college." The process of choosing a school that is just right depends on a student's interests, learning style, and comfort in large or small venues. Talking with college graduates, visiting campuses, and even using a personality quiz are all steps that can be used to match a student with the right program. For undergraduates, the "fit" of a program is more important than what the institution is called. Some students will thrive in small, but academically demanding, four-year liberal arts colleges. Others will find that they want to practice a trade or have a career in a field that requires only a two-year, or associates degree. Others may be stimulated by a large university, especially if they envision completing a graduate program.